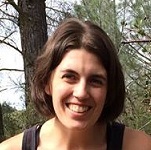 Spontaneity in travel can be a good thing, but when you’re planning a visit to a massive (and busy) national park like Yosemite, not having a solid plan can backfire. So, if you want to catch Yosemite National Park’s must-see sights, but also want to experience some of the park’s underrated spots away from the crowds, we’ve put together a detailed itinerary to help you make the most of your trip if you only have a few days. 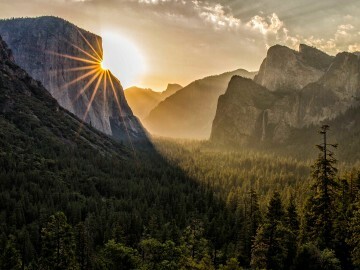 After all, Yosemite is practically our backyard. Rather than head into Yosemite Valley right away, spend your first day away from the crowds exploring and hiking to sights along Tioga Road, which offers visitors incredible access to Tuolumne Meadows and the High Sierra. You have to work for it, but the May Lake and Mount Hoffmann hike at the geographic center of Yosemite doesn’t disappoint. This 6-mile round-trip hike takes you past one of the park’s most scenic lakes, before ascending 2,000 feet to the top of Mt. Hoffmann for mind-blowing panoramic views. John DeGrazio of YExplore, which offers custom guided Yosemite hiking adventures, says that it’s not on anyone’s radar, but every time he takes people on this hike they can’t believe how spectacular it is. 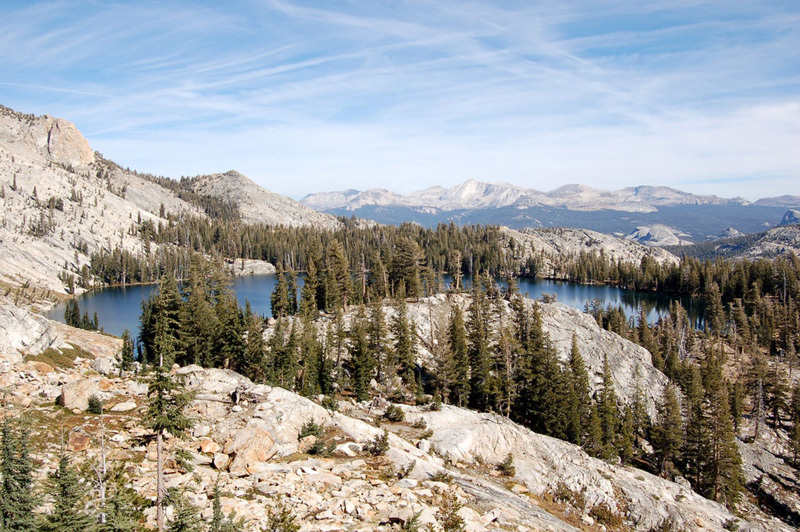 From Tioga Road, take the May Lake Turnoff for approximately 1.8 miles to the May Lake trailhead. Plan ahead and pack lunch to enjoy at May Lake. Afterward, you can leisurely explore other sites along Tioga Road before heading back to your lodge or campground for the evening (more info about where to stay below). Ambitious hikers can stop at the Merced Grove Trail just a few miles west of Crane Flat where Tioga Road begins. Here, a 3-mile round-trip stroll gives you access to a majestic grove of giant sequoias that you can often enjoy in complete solitude. Today, plan to spend your morning along Glacier Point Road. While most people will head to picturesque Glacier Point, folks looking beyond a quick photo opportunity won’t be disappointed if they stop at the Sentinel Dome/Taft Point trailhead parking lot. Here, a 4.9-mile loop combines two of Yosemite’s underrated hikes into one spectacular experience. Climb to the top of Sentinel Dome with little effort for stunning views of the park’s most prominent landmarks including El Capitan, Yosemite Falls and Half Dome. At Taft Point, the daring can dangle their feet off the edge of a cliff a mile above Yosemite Valley. After spending the morning staring into the Valley, it’s time to finally spend some time in the heart of the park. 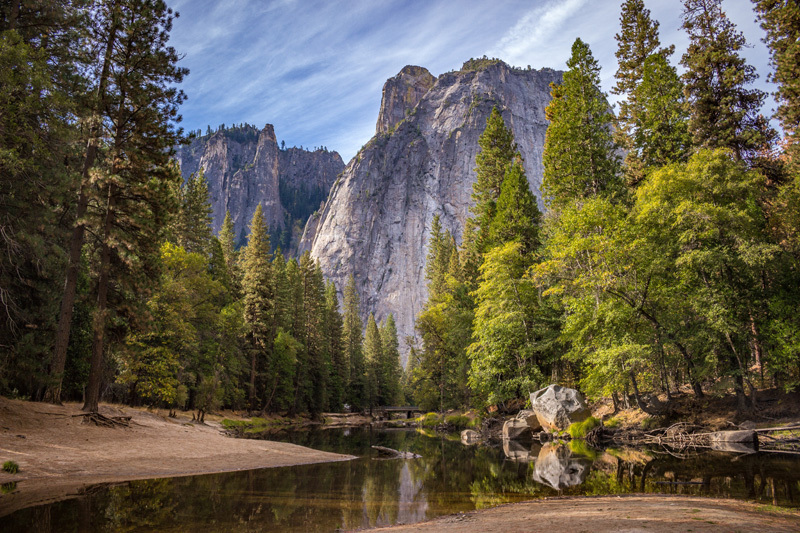 Make your way to Yosemite Village to stock up on picnic supplies in their full-service grocery store and then find your own personal picnic spot along the Merced River to enjoy a relaxing afternoon in the shadows of El Capitan. In the summer months, you won’t be able to resist a dip in this crisp mountain stream, so don’t forget your swimsuit. Later, if you can pull yourself away from the river, the short jaunt to the base of 2,425-foot Yosemite Falls is worth the visit. You certainly won’t have it to yourself, but this iconic sight will delight any park visitor. 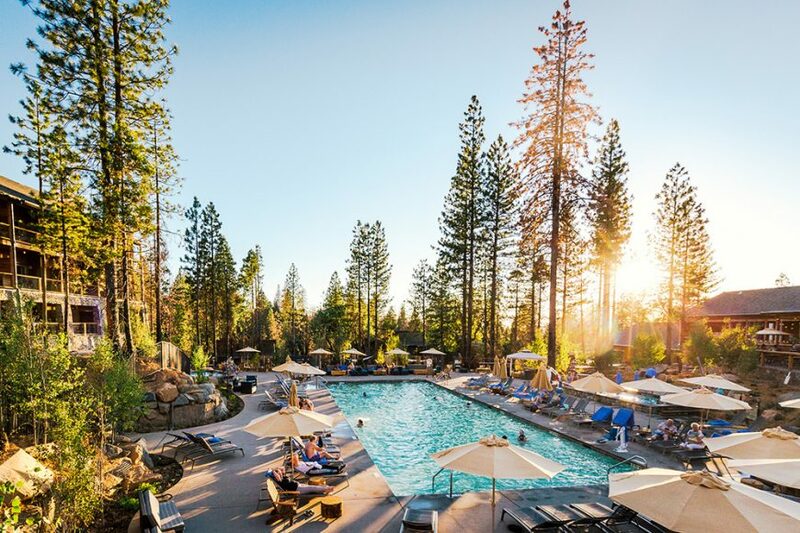 Then, skip across the street to the Yosemite Valley Lodge where you can enjoy happy hour and an appetizer at the rustic Mountain Room Lounge, or dinner with an impressive view of the falls at the Mountain Room Restaurant (reservations recommended). If you’re an early riser, use that to your advantage. Head to the Mist Trail trailhead near Happy Isles first thing in the morning (by 7 am if you can make it happen) to beat the crowds to Vernal and Nevada Falls, one of Yosemite’s most popular hikes (for a reason). 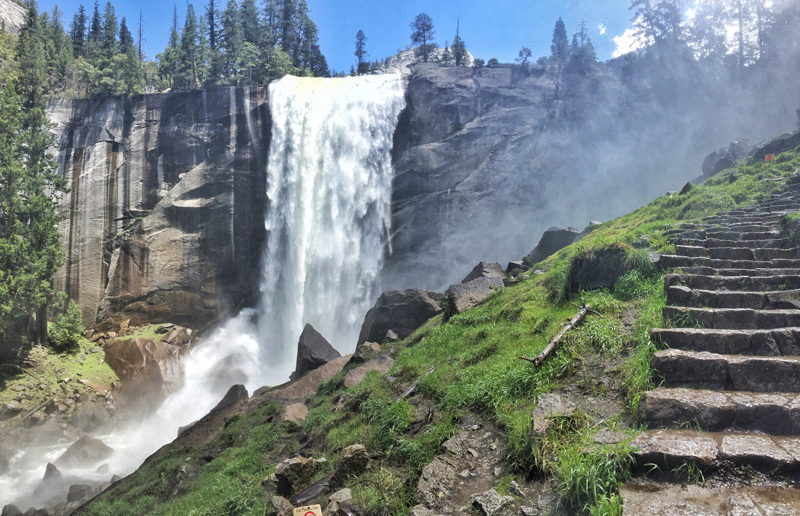 This spectacular hike ascends the Mist Trail approximately 1,000-feet, including a steep granite stairway of over 600 steps, to the top of Vernal Falls before continuing up another 900 feet to the top of Nevada Falls. 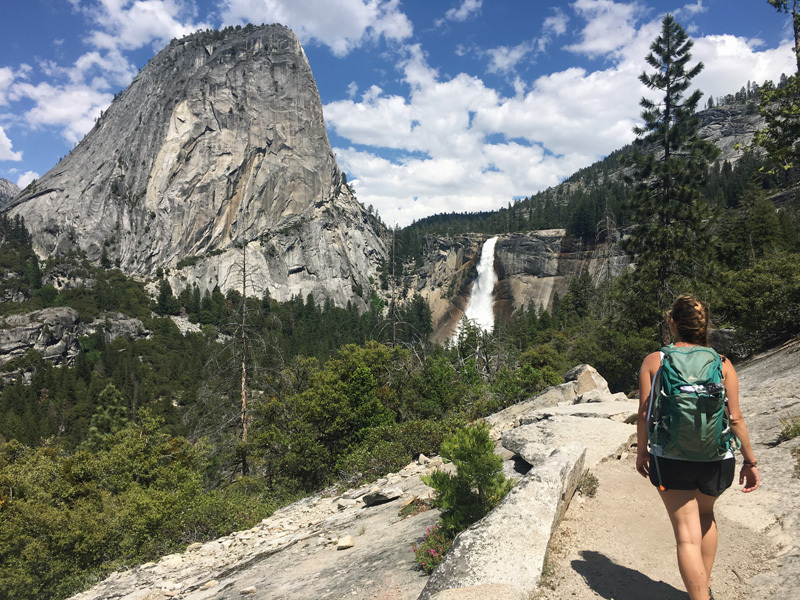 From here you can make it a 5.4-mile out-and-back hike, or opt to do the 6.7-mile lollipop loop and descend along the John Muir Trail, which offers bonus views of Nevada Falls, Liberty Cap and the back of Half Dome. This is a strenuous hike and can take up to 5 hours depending on your hiking ability, so plan your gear, food, and water accordingly. Afterward, take your wobbly legs to the Pizza Deck at Half Dome Village for a slice and cold beverage (open March through November). You earned it. Spend the evening enjoying the sunset. There’s an extensive trail system throughout the valley. 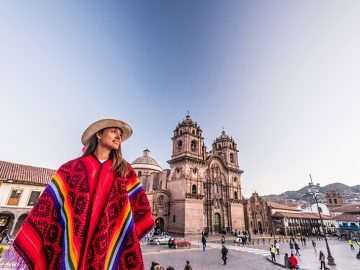 Find a quiet place with a spectacular view (it’s hard to go wrong in this department), throw down a couple of chairs or a blanket, and soak in the fact that you’ve just spent the last few days in one of the most beautiful places on the planet. 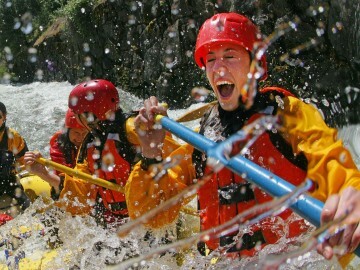 Most people don’t realize there’s world-class whitewater rafting right on Yosemite’s doorstep. 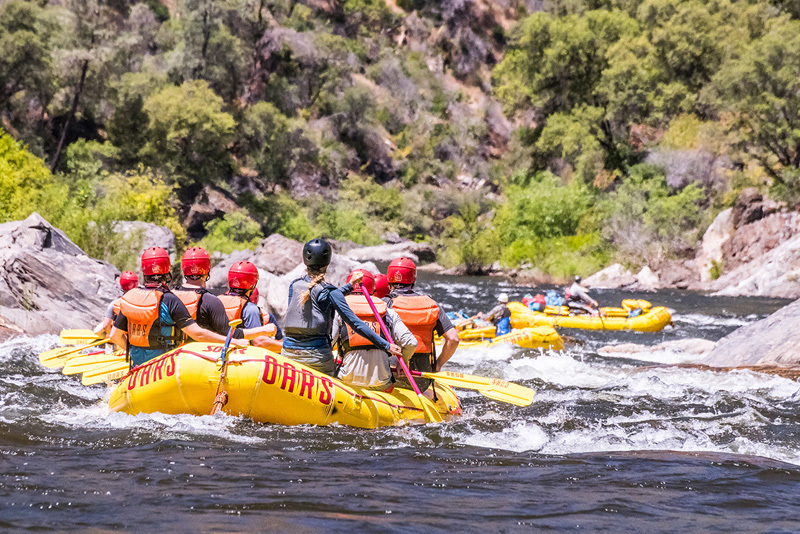 If you want to escape the crowds for a day or two, or have extra time, consider adding a rafting trip on the Tuolumne or Merced Rivers to round out your Yosemite vacation. Roaring down from the snow-covered peaks of the Sierra Nevada, the Tuolumne serves up 18 miles of thrill-stacked whitewater, several waterfall hikes and backcountry isolation in a spectacular stretch of river canyon just below the park’s Hetch Hetchy Reservoir. 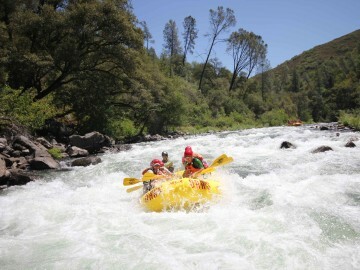 Tuolumne River Rafting trips span 1- to 3-days and are typically available from May to early September. During the spring and early summer, the free-flowing Merced River also makes for an exciting, one-day addition to any Yosemite itinerary. 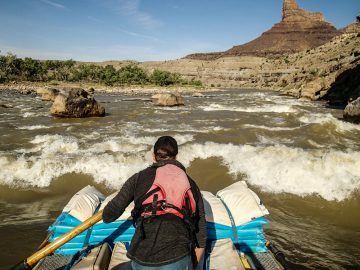 Just outside of the park’s El Portal entrance, paddlers can challenge splashy rollercoaster wave trains and Class IV rapids like Ned’s Gulch, Split Rock, and Corner Pocket. 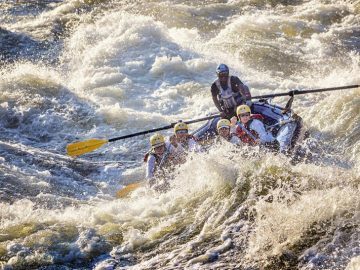 Rafting outfitters will provide all the gear, all you have to do is show up ready for big fun. Yosemite National Park offers a variety of lodging options—everything from primitive campsites and tent cabins to high-end hotel accommodations. If you plan to stay in the park, you’ll want to make reservations at least 6-8 months in advance and closer to 12 months in advance for peak summer season. If you’re late to the game and can’t snag a spot in the park, try Rush Creek Lodge, which is the first new resort near Yosemite in more than 25 years and just a short drive from the park’s Big Oak Flat Entrance. Or check out its sister property, Evergreen Lodge. Situated near the remote Hetch Hetchy area of the park, this charming property offers cozy cabins or custom camping, along with a lively tavern.